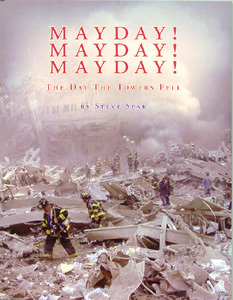 A historic and spectacular photographic journey through the ruins of World Trade Center on 9-11-01! Exclusive, some never seen before, photos taken at the World Trade Center Disaster. Steve Spak, producer of many videos showing FDNY at work, arrived at the World Trade Center 10 minutes after the collapses. He tasted, felt, heard, breathed and witnessed the destruction of that day. Now, you can, too - through his photos. Like so many of us, Steve knew many of the Firefighters who perished on that day. Like all of us, he mourns their loss. This is his tribute to those men.